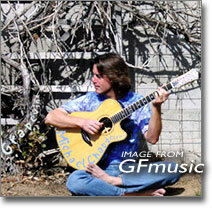 Michael Chapdelaine's bio claims he is the only person to win the world's top competitions in both "fingerstyle" and "classical" guitar: Winfield's National Fingerpicking Champion and the Guitar Foundation of America's International Classical Guitar Competition. While I haven't had time to research this claim, after hearing Chapdelaine's CDs I have every reason to believe it's true. After two decades of great success as a Classical guitarist, Chapdelaine, who studied with Andrés Segovia, shifted gears and re-invented himself. "A guy who used to have a tuxedo" (his line) Chapdelaine now performs barefoot, knocking out incredible one-man band arrangements of pop hits from the 60s, 70s, and 80s. While his Come Together and Wipeout seem to generate the most media buzz, the solos that won us over were She's Leaving Home (from the Sgt. Pepper's Lonely Hearts Club Band), Ferry 'cross the Mersey, and Clapton's Wonderful Tonight. 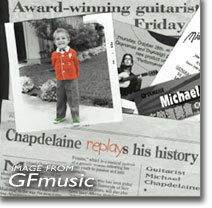 Both Michael Chapdelaine CDs earn our very highest recommendation!